Pets bring so much joy to our lives. Those sweet puppy kisses and loving cuddles go a long way to brighten our days and keep us warm at night. But not everyone loves your pooch as much as you do, especially if your dog is wild in public. Teaching your dog some basic manners is an important part of dog ownership. Learning some simple training skills will go a long way toward keeping peace with your neighbors and friends. Training doesn’t have to be “mean” and negative. 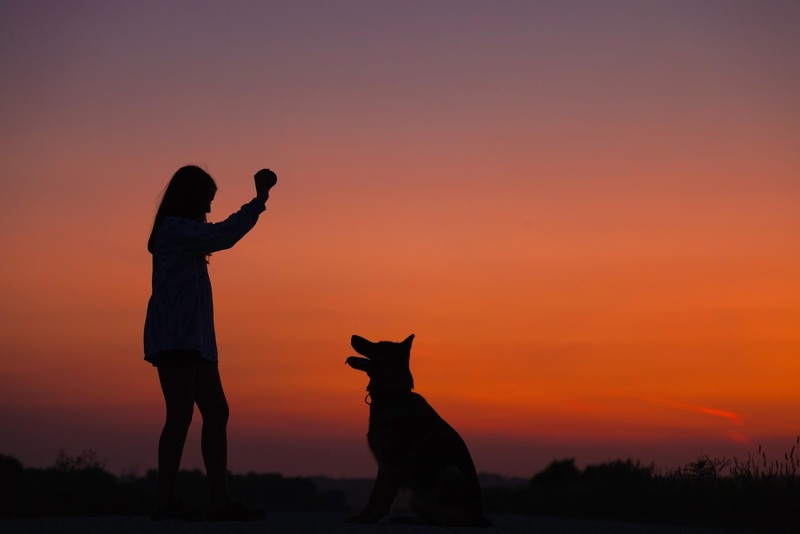 You can train your dog using positive reinforcement. Having a well-trained dog means you will be better able to communicate with him, the two of you will be calmer and less stressed. Dogs poop, and it’s your job to clean it up. There’s no way around it, and it’s part of being a responsible dog owner. If you’re walking your dog, remember to bring waste bags with you and clean up after your dog. Your neighbors don’t want to find dog poop in their front yard or on the sidewalk. Especially since most people find it the hard way—on the bottom of their shoes. If you have a yard, make sure to scoop your waste regularly so that it doesn’t wash away and pollute the groundwater. Bacteria and pathogens can get into the soil and cause damage to the wildlife and possibly even people in the area. If you don’t want to clean it up yourself, you can hire services that will do it for you. When you’re walking your dog, make sure you are careful about greeting other dogs. Just like you wouldn’t walk up and pet a dog without permission, you shouldn’t let your dog greet another dog without asking first. If the owner agrees, then still keep a tight hold on your dog’s leash while they sniff each other. Dogs can snap even if they are friendly. If the owner says no, don’t be offended. Some dogs just aren’t as friendly, and the owner is doing the right thing by keeping his or her dog away. Some dogs bark more than others, and that’s normal. Barking habits often depend on the breed of dog. If your dog is a constant barker, you may have an issue with your neighbors. Nobody wants to be awakened in the middle of the night by a neighbor’s pooch. When your dog hears a noise and barks, he is doing his job of keeping your house safe. But if he barks more than just a couple times, he might need a bit of training. If he barks all day while you’re at work, consider training him to a crate. Staying in a crate with a blanket over it to keep it dark will make him feel more secure and encourage him to sleep. Put the crate in a quiet room and turn on a white noise machine for extra sound security. The single best thing you can do for your pet and the pet community is spay and neuter your pet. Early neutering prevents several types of dog cancers and helps them live longer, healthier lives. For male dogs, neutering will calm their need to run away from home and calm down his hyperactivity. A neutered dog is better behaved, too. Getting your dog fixed will prevent your dog from contributing to the pet overpopulation problem, which means there will be fewer homeless pets in shelters. Being a good citizen is important to your pooch’s and your happiness. Not to mention, you will have a better relationship with your neighbors. Always remember to treat your neighbors the way you would like them to treat you so you and your pup will be welcome.